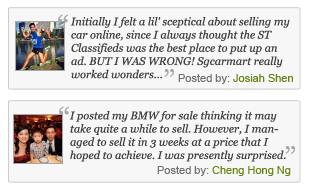 Sell your car yourself. 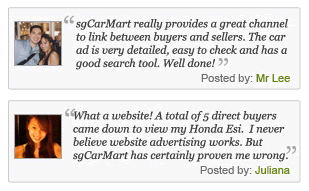 Advertise it at just $58 until its SOLD! 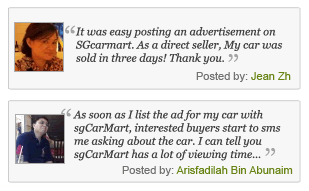 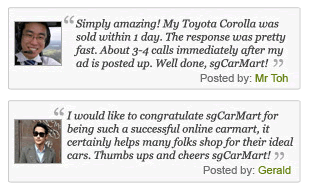 Thousands of potential car buyers visit sgCarMart daily. 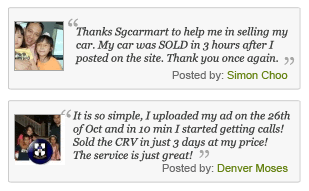 Your car could be their next buy. 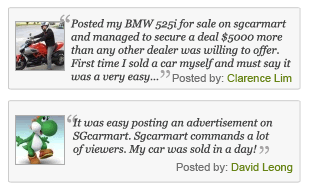 Once you found a buyer, sgCarMart Connect will provide 100% FREE settlement on Loans, Insurance & Paperwork for both seller & buyer. 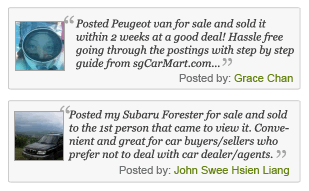 Unsure if you are getting a good deal for your car? 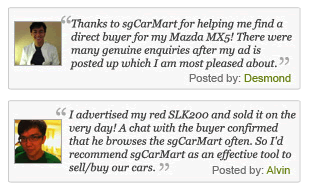 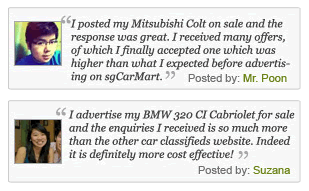 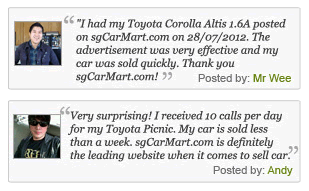 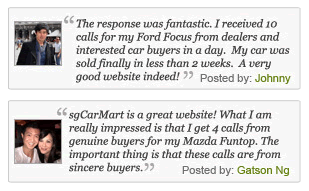 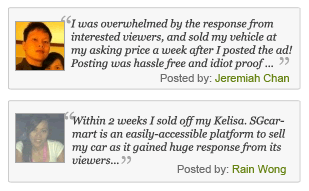 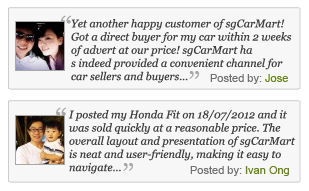 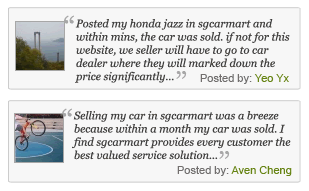 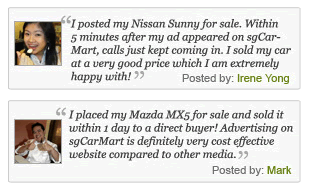 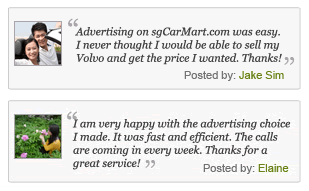 Get quotations from over 300 car dealers in just 1 simple step. 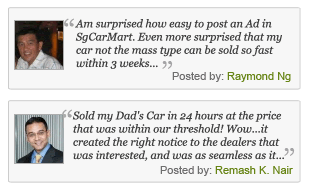 Dealers will compete and bid for your vehicle for the highest price possible! 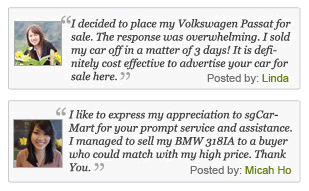 Consign your car to sell direct at the price you want! 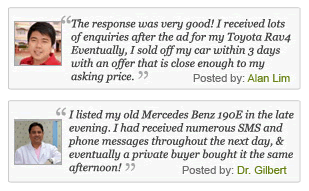 Consignment agents help you sell your car to direct buyers without the hassle. 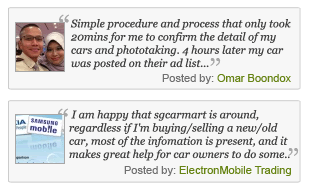 They advertise, negotiate and handle all documentation on your behalf.